Will has six floors to go in this elevator, six ghosts to meet, and six stories to tell before he decides if he will shoot the boy he thinks shot his brother. 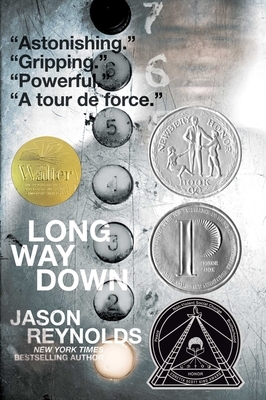 This groundbreaking novel in verse dives deep into the psyche of a teenage boy who's followed the rules of his crime ridden neighborhood his whole life, and the ten minutes when he starts to question them. Long Way Down is chilling in its depiction of gun violence and heartbreaking in how it shows those left behind.